Say hello to Cheryl Fitzgerald! 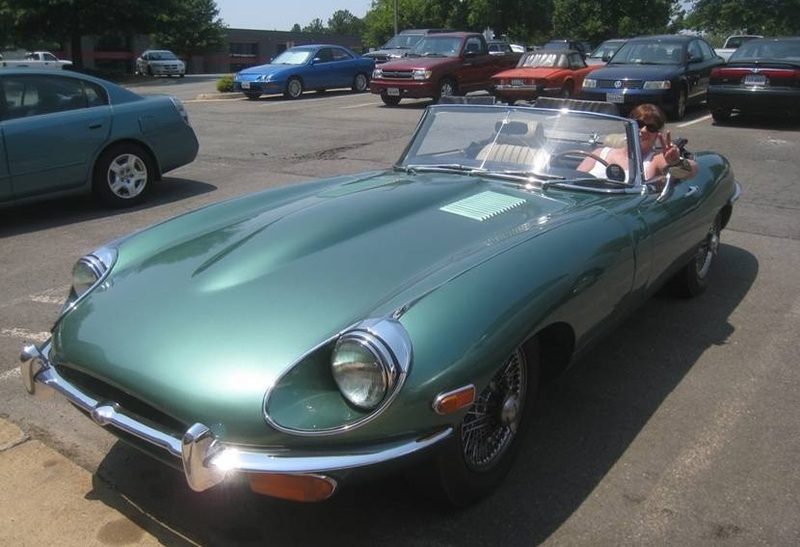 She’s the classy lady who zips along Virginia’s highways and byways in a sparkling, vintage ’69 Jaguar XK E-Type OTS. 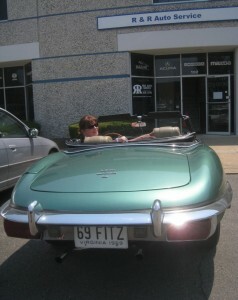 For Cheryl, the Jaguar isn’t just transportation. It’s therapy. 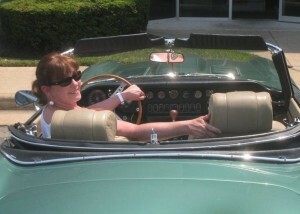 Cheryl has always loved classic cars and driving them. She has owned a Toyota Spyder OTS and a Jaguar XJ6C, but always dreamed of having an XKE convertible like the one a friend drove in high school. “I always swore I would get one,” she says. 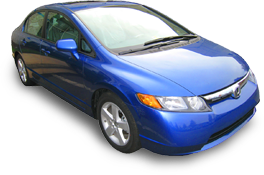 But the years slipped by, and Cheryl, who is also a horse enthusiast, continued to drive the trucks, cars and SUVs one expects to see in horse country. After an equine accident requiring surgery, Cheryl says, “I traded in that type of horse power for the under-the-hood type of horsepower.” Cheryl still drives a horse-country vehicle to work–but it’s just practical transportation, not her passion or her therapy. With middle age come aches and pains, and for Cheryl, those aches and pains were exacerbated by rheumatoid arthritis. 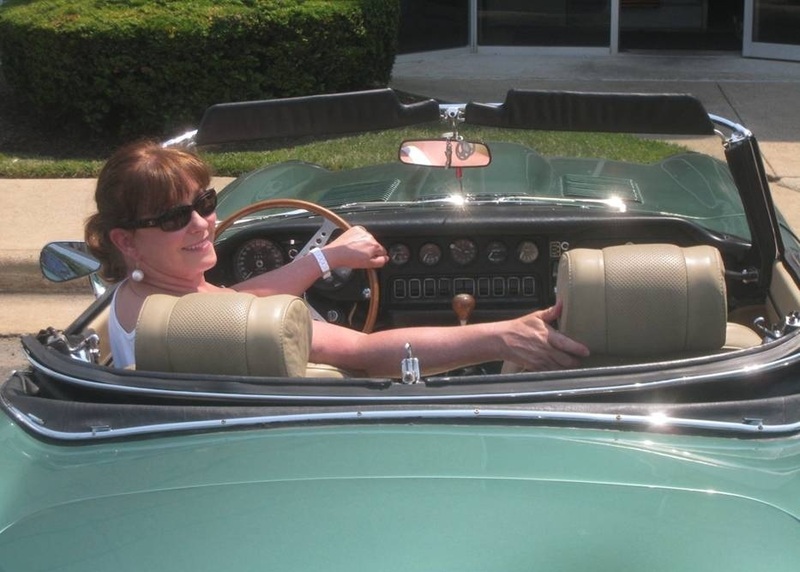 Normally a cheerful and spirited soul, Cheryl realized somewhere along life’s highway that she needed a pick-me-up, something to renew her joie de vivre–in fact, something to put the zip back into her drive. She decided to buy that Jaguar she’d always promised herself. Once she and the Jaguar were home, Cheryl sought the advice of officers and members of the Nation’s Capital Jaguar Owner’s Club. “Everyone recommended R&R,” she says. 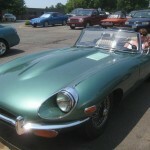 Cheryl had her ailing Jaguar towed to R&R Auto Service early the very next morning.